Milford Police charged a New Haven woman with forgery for allegedly using counterfeit money. They also arrested a Bridgeport man for allegedly interfering with police. Read the whole log here. A Milford man admitted to breaking into a number of vehicles after being arrested for burglary, according to police. Police received a complaint from a resident about an intruder inside his parked vehicle around 4:00 a.m. on Wednesday. Police located James Digangi, 27, next to the complainant's residence with a GPS and flashlight that were taken from inside the vehicle, police said. Police said also found Digangi in possession of marijuana and related drug paraphernalia during his arrest. He later admitted to entering other vehicle in the area, according to police. Digangi was charged with 6th-degree larceny, 3rd-degree burglary possession of marijuana and possession of drug paraphernalia. He was held on a $1,000 bond. The Board of Education went over many high school athletic topics Monday night before the start of budget season. Jonathan Law High School Principal Francis Thompson requested an additional coach for the cross country team due to safety reasons. The nature of the sport can put athletes three miles apart, which makes it physically impossible for a coach to monitor the entire team at once, said Anthony Vitelli, Foran High School athletic director at the board meeting. This isn't the first time the issue has appeared before the board. "Clearly we've had some public comments and communications about not having enough coaches," said Chairwoman Tracy Casey (D-2). Milford police arrests include someone allegedly stealing five bottles of cologne from a local store. There were no reported DUI cases in the blotter over Thursday and Friday. There were at least two cases of an arrestee allegedly getting into a physical altercation with a relative. From Downtown Milford Business Association: Visitors will enjoy a nostalgic weekend during the popular classic New England weekend, a traditional event that celebrates the holiday season in true festive style at the 11thAnnual Downtown Milford Lamplight Stroll on Friday, December 7thfrom 5:00 p.m. to 9:00 p.m. and on Saturday, December 8th, from 10:00 a.m. to 5:00 p.m. Visitwww.downtownmilfordct.orgor email info@downtownmilfordct.orgfor more information. Bistro Basque will be donating a large dish of paella for clean-up volunteers. 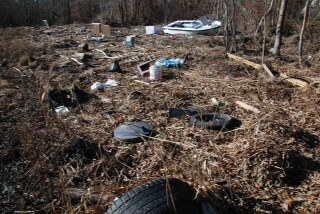 Clean-up efforts are scheduled for Sunday Nov. 25. 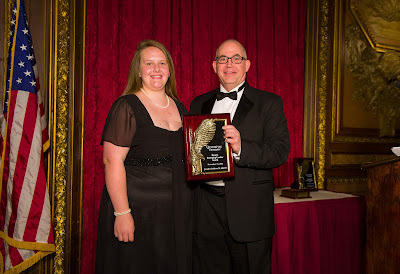 Walnut Beach clean-up is at 9:00 a.m. and Silver Sands State Park is at 2:00 p.m.
Jennifer Lydiksen, of Milford, a student in the MBA program at Quinnipiac University, received the School of Business’ Emerging Leader Award at Quinnipiac’s Business Leader Hall of Fame event Nov. 16 at the Metropolitan Club in New York City. This award recognizes business students who demonstrate excellence both in and out of the classroom, including leadership roles on campus and/or significant community service. Arrests include one for an alleged DUI and another for alleged narcotics possession. Read the blotter here. The Downtown Milford Business Association (DMBA) has launched a new program, "Downtown Milford Cares." The first event of this program will be a non-perishable food collection to restock the seriously depleted inventory of The Milford Food Bank. Donation drop locations are: Café Atlantique, Me Boutique, Milford Photo, Park Lane Deli, Tranquility Wellness Spa, Villa Gourmet, Village Vogue Boutique, Will-O-Wisp Beads, and the leasing office for Spinnaker Apartments. More information www.downtownmilfordct.org or email info@downtownmilfordct.org. Milford police arrests include a violation of probation, someone issuing a bad check, and a dui. Of course all offenses are alleged. 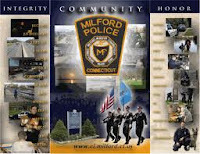 The Milford Police Department arrest log for the weekend includes several arrests including someone allegedly punching a pregnant woman in the stomach, and in a separate arrest someone allegedly stealing a cell phone from a local shoe store.